The massive doors of the great cathedrals in Europe were intentionally designed to be overwhelming. That’s because door size and treatment in architecture are excellent ways to shift scale with little effort. To Compare, residential construction has historically engaged essentially in one size door: 3 feet wide and 7 feet tall. With common ceiling heights in the 8- to 9-foot range, these doors act as openings in wall’s that are flat surface’s. These framed openings, usually are touching neither the ceiling or adjacent walls. While this size of door functions well, allowing us to bring in our groceries, keep cool and warm air inside or outside, and have both openness and privacy, but doors can be so much more. Let’s shift our thinking about doors from just being openings to thinking about them as wall elements that pivot or slide can create numerous design possibilities. 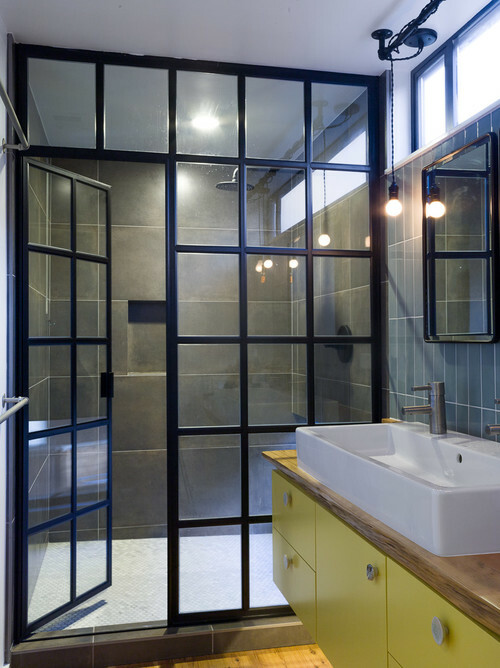 These possibilities can transform the size of spaces and more effortlessly mix the door into the architecture of a space. Thick steel frame that spans the entire entryway, challenging the very notion of what a door can be. Pivoting hardware sets the door in the floor and ceiling, which suggests passing through a secret wall. One can imagine that when closed, the door functions as an elegant, brilliant art object. 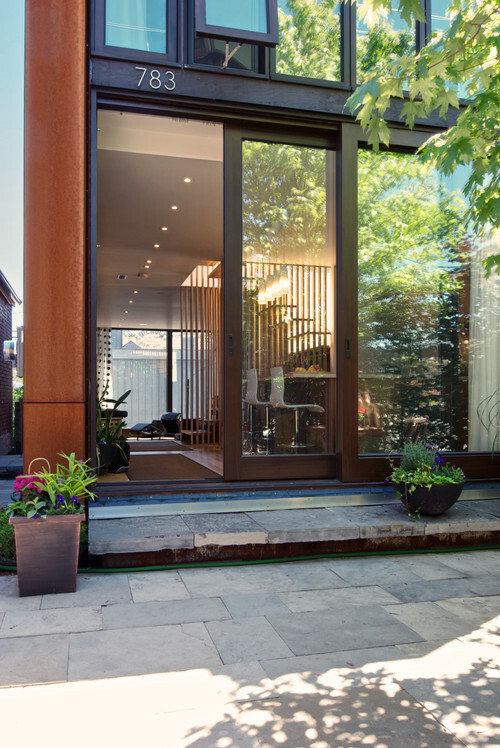 The Doors that lead to an outdoor space can play a big role of how the home is viewed. Any other doors that are not your regular , average every day door. Please share and Post.